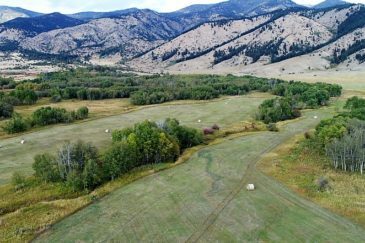 Bell Crossing is an excellent offering of spacious, buildable Bitterroot River frontage acreage with easy access to Missoula and stunning views of the Bitterroot Valley’s rugged mountains. The property has irrigated hay fields, riparian areas for wildlife and the scenic desirable river frontage everyone is longing for. Bell Crossing represents a rare and unique opportunity for ownership in the Bitterroot Valley. Bell Crossing and the neighboring ranches to the east and north are protected from development by conservation easements so these areas will likely be unchanged in the years to come. State of Montana land across the river to the west assures the same. Bell Crossing is an excellent choice to have a premier building site on the Bitterroot River. The gated access, surrounding ranches and conservation easement provides protection of the property and it’s view shed. 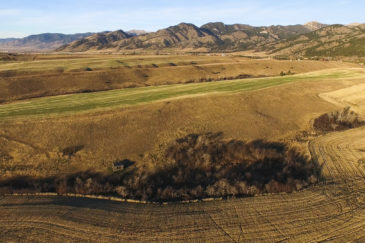 Premium, buildable river front land is increasingly hard to find in the Bitterroot Valley. Bell Crossing represents possibly the finest river acreage available in a desirable and convenient location.